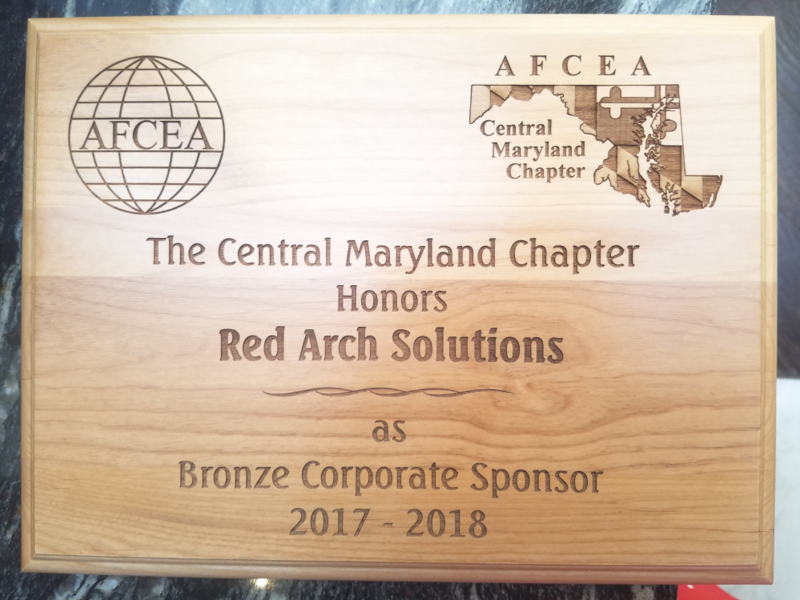 Red Arch Solutions is pleased to announce we are a bronze corporate sponsor for AFCEA’s Central Maryland Chapter. AFCEA Central Maryland Chapter (AFCEA-CMD) is a non-profit membership association dedicated to providing an ethical, interactive forum for sharing knowledge and building relationships across government, military, industry and academia. Joining AFCEA allows Red Arch to connect with local members and better serve our customers and the industry. For more information about the AFCEA Maryland Chapter, go to https://centralmd.afceachapters.org.